2. In the concert, click on the orange folder in the LH corner. 3. 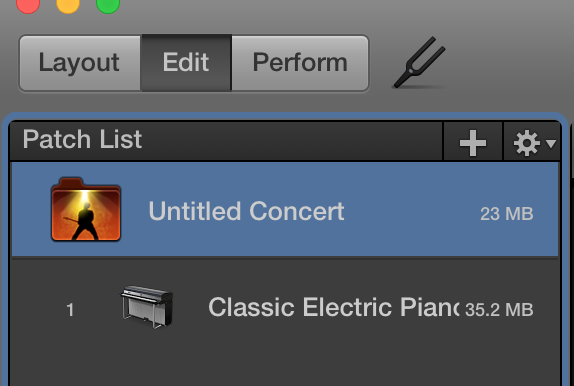 Under the channel strips window in the RH corner of the screen, click the “+” button to create a new track at the concert level. This channel will be active throughout your entire project no matter what patch you select. 5. 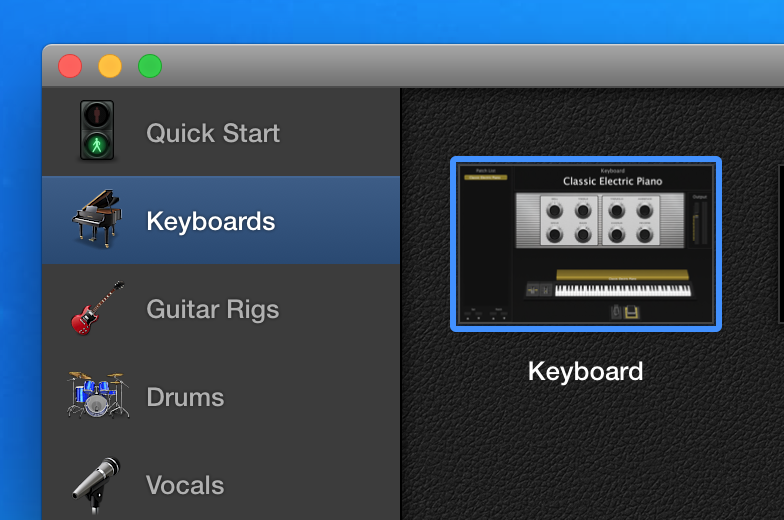 Create an audio track for each input in your audio interface. I’m going to use just 4 inputs for this example. 6. Plug in the 4 inputs from your onstage instruments (i.e. guitar, bass, drums, etc) into your audio inputs. Label each channel. 7. 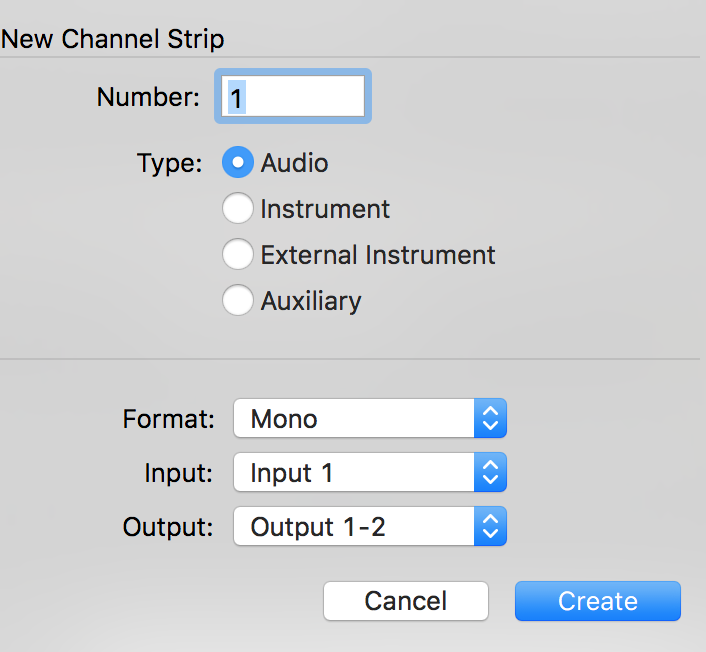 Now that we have everything set, set all the channel strips audio to “No Output”. This will keep feedback from happening. 8. Set all the Sends to Bus 1 and Bus 2. 10. Go to the Layout mode. 11. Drag in faders. We’ll drag in just 4 faders to keep it simple, but you’ll need a set of 4 faders for every musician that needs have hands-on control of their monitor mix. 12. Go back to the Edit mode and assign each fader to control a Aux send. You’ll want to map all of Aux 1 sends to the first bank, Aux 2 sends to the next bank of faders, etc. 13. 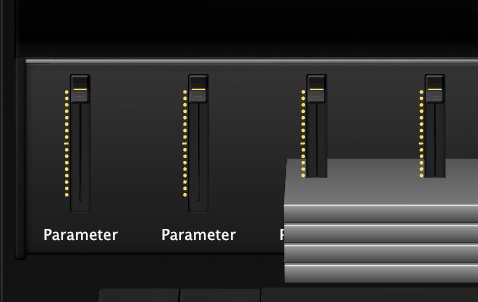 Map the faders to your keyboard. 14. Each auxiliary or bus channel you route everything to will need to go to a separate output, which would then feed into a different monitor wedge or in-ear monitor. 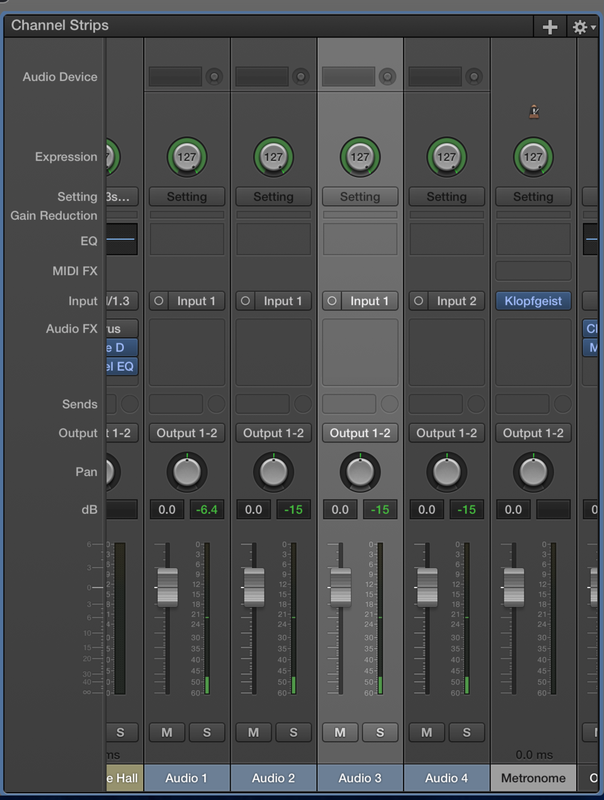 You can theoretically add as many channels as you have outputs on your audio interface. If you're using the free iPad app with MainStage (you know that's a thing, right?) everyone using an iPad or iPhone have hands-on wireless control over their mix. How cool, right? If this is too hard to figure out on your own, I offer a ton of great MainStage programming services. Check out my store for the details.